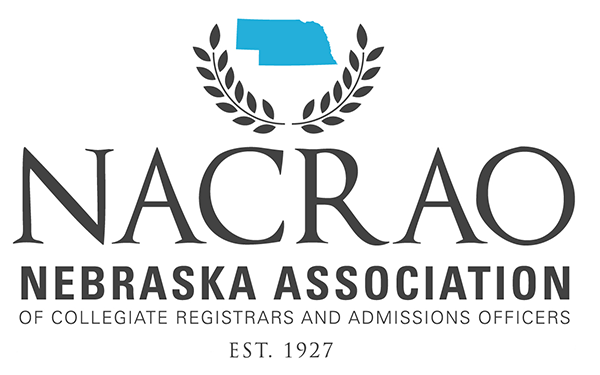 The name of this organization shall be the Nebraska Association of Collegiate Registrars and Admissions Officers (NACRAO). The purpose of this non-profit Association shall be to promote the advancement of higher education in its fullest and broadest implication. The Association shall aim specifically to advance professionally the office or offices of admissions, registration, records, institutional research, and closely related functions in institutions of higher education in Nebraska. Any educational activity directed toward the attainment of this aim is within the purpose of this Association. Among the activities within the established authority and jurisdiction of the Association for the fulfillment of this purpose and aim are: (a) holding meetings; (b) publishing reports; (c) conducting cooperative investigations , studies, and surveys, either on the initiative of the Association or in conjunction with other organizations; and (d) disseminating information on matters of common interest to its members. Membership shall be either (a) institutional, (b) honorary, or (c) professional affiliate. Institutional membership shall be open to those post-secondary education institutions in Nebraska that are classified as authorized collegiate, degree-granting institutions by the Nebraska Coordinating Commission for Post- secondary Education. An institution that becomes a member of NACRAO shall be known as an institutional member. Each institution shall have a certain number of voting representatives based on institutional population. Institutions within a complex organization shall hold an institutional membership for each division separately listed in the U.S. Office of Education annual publication "Opening (Fall) Enrollment in Higher Education." Institutions that do not meet these criteria may request professional affiliate membership. Individuals no longer eligible for membership as voting representatives in NACRAO may be recommended to the Board of Directors through the Committee on Honorary Membership for continued affiliation as honorary non-voting representatives. The Board of Directors will elect to honorary non-voting representative status those nominees deemed to have given significant service to the Association. Upon approval of the Board of Directors institutions or organizations that are found to have purposes parallel with those of NACRAO and desire to participate in its non -voting activities may be accepted as non-voting representatives. As we represent our institutions and the NACRAO organization, members are expected to abide by the AACRAO Code of Ethics accepted by NACRAO in 1987. The Code of Ethics emphasizes the practice of honesty, integrity, and professionalism. Professional conduct is the responsibility of the individual and professional liability rests with the member's institution. The officers of the Association shall be a president, a president-elect, a vice president for communication, a vice president for membership, a vice president for education & professional development, a secretary, and a treasurer. The president-elect, the vice presidents, the secretary and treasurer are elected at the annual meeting. The president- elect serves a one-year term. The vice presidents, treasurer and secretary serve a two year term. The president shall automatically assume office after serving one year as president-elect. Only voting representatives are eligible to hold office. The officers named in Section 1, together with the immediate past-president, shall constitute the Board of Directors with power to fix the time and place of meetings as provided in the bylaws and to conduct the business of the Association. In the event that this organization is dissolved any and all remaining assets shall be distributed on an equal basis to all current institutional members. The constitution and the following bylaws may be amended at the annual meeting by a two -thirds majority of the legal votes cast by the institutional member voting representatives present and voting, provided that notice of the proposed amendment has been sent to the institutional member voting representatives at least one month in advance of the meeting. An amendment not thus proposed in advance may be adopted by a four-fifths majority of the legal votes cast by the institutional member voting representatives present and voting. Additional voting representatives may be designated by institutional members for an annual fee of $25.00 each. There are no fees for people with honorary non -voting representative status. The annual fee for professional affiliate non-voting institutions or organizations shall be $350.00. The professional affiliate institution/organization shall have two individual non-voting representatives. Any member institution or professional affiliate that fails to pay annual fees before the close of the fiscal year shall be notified by the treasurer of the imminence of being dropped from membership. The Association shall hold an annual meeting in November of each year. The location is to be chosen by the Board of Directors with due regard to geographical location, availability of conference sites and Education Planning Program schedules. The Board of Directors shall also have the authority to advance, postpone, or cancel the annual meeting as deemed appropriate due to significant circumstances within the Association, the institutions in the state, higher education, or the local, state or national community. The current scope of NACRAO's activities and the size of the annual conference do not warrant the need for professional liability insurance so long as NACRAO's business is conducted "reasonably" and "in good faith" by its members. The president shall assume office after serving as president -elect. The president shall preside at all meetings of the Association at which he/she is in attendance; shall act as chair of the Board of Directors; shall be in full charge of operations as well as be responsible for supervision of all assigned and delegated duties; and shall appoint liaisons as needed. After serving one elected term of office, the president will serve one year on the Board of Directors in the capacity of past-president. direct and supervise the activities and functions of the Local Arrangements Committee and shall secure the location and dates of the subsequent year’s Annual Meeting. The president -elect shall become president at the end of the term as president-elect; shall succeed to the presidency should that office become vacant, and, in that circumstance, shall be eligible in the following year for a full term as president in the year for which originally elected. The current past-president may not be nominated for this position. The vice president (VP) for communications shall be elected by a majority of the legal votes cast at the annual meeting. The VP for communications shall be elected for a term of two years. The VP for communications shall direct and supervise the activities of committees on General Publicity and Post-Secondary Planning/Educational Planning Programs (PSP/EPP) and Technology. The VP for communications shall direct and supervise the activities of individuals responsible for the Government and Relations Listserv and the NACRAO web presence. The committee chairs will be appointed by the Board of Directors and the tasks of each committee will be supervised by the committee chair and the VP for communications. The Board of Directors will appoint the individual(s) responsible for the NACRAO Listserv maintenance and the NACRAO web presence. Tasks not directly assigned to a committee, but under the direction of the VP for communications, shall be accomplished through ad hoc committees and appropriate delegation from the Board of Directors. The vice president (VP) for membership shall be elected by a majority of the legal votes cast at the annual meeting. The VP for membership shall be elected for a term of two years. The VP for membership shall direct and supervise the activities and functions of new members shall; bear responsibility for voting representatives membership records and annual membership reports and shall maintain a current list of all honorary non -voting representatives and their addresses; shall be responsible for the preparation of the Annual Directory of the Nebraska Colleges and Universities and report changes in the membership records and annual membership list to the president. and supervise the activities of the Recognition committee and Member Services committee. The committee chairs will be appointed by the Board of Directors and the tasks of each committee will be supervised by the committee chair and the VP for membership. Tasks not directly assigned to a committee, but under the direction of the VP for membership, shall be accomplished through ad hoc committees and appropriate delegation from the Board of Directors. The vice president (VP) for education and professional development (EPD) shall be elected by a majority of the legal votes cast at the annual meeting. The VP for EPD shall be elected for a term of two years. The VP for EPD shall direct and supervise the activities of the committees on Diversity and Multiculturalism, and Professional Growth, Admissions, Registrar, and Support Services Staff Workshop. The committee chairs will be appointed by the Board of Directors and the tasks of each committee will be supervised by the committee chair and the VP for EPD. Tasks not directly assigned to a committee, but under the direction of the VP for EPD, shall be accomplished through ad hoc committees and appropriate delegation from the Board of Directors. The secretary shall be elected by a majority of the legal votes cast at the annual meeting. The secretary shall be elected for a term of two years. The secretary shall keep the minutes of the annual meetings of the Association and prepare for distribution of these minutes at the next business meeting of the Association; shall keep the minutes of the Board of Directors meetings; and shall keep the constitution and bylaws of the Association updated and available for members of the Association as requested. The secretary shall deposit the recordings for the preceding year in the Association’s archives on the organizational website. Prior to the establishment of the organizational website, past minutes are archived and located at Creighton University. The treasurer shall be elected by a majority of the legal votes cast at the annual meeting. The treasurer shall be elected for a term of two years. The treasurer shall be authorized to pay all bills incurred in normal operation of the organization; shall secure the approval of the president before payment of all bills which in the judgment of the treasurer are not normal operating expenses; and shall prepare informal financial statements for meetings of the Board of Directors. After the close of the fiscal year, the treasurer shall make a complete financial report. At the end of the treasurer’s two-year term, these financial reports shall be audited by an auditing committee of Association members. Each year’s final financial report shall be presented to the Board of Directors and shared with the membership. The Web Presence Director shall be appointed by the Board of Directors and will serve as an "ex-officio" member of the Board of Directors. The administrative and fiscal year shall be January 1 until December 31. The Board of Directors shall have authority to fill any vacancy by appointment for the unexpired term. Any individual appointed to an unexpired term of an elective office shall be eligible to succeed himself/herself and to serve a full elective term. The election of officers shall occur at the annual meeting. Absentee ballots are counted as legal vote s if received by the secretary prior to the business meeting of the annual meeting. The results of the ballot will be announced at the annual meeting. Should there be a tie in the votes for a position, a run-off election shall occur at the annual meeting. a) Any NACRAO voting member may file a complaint requesting the removal of a member of the Board of Directors to the President or Past-President of the association. The complaint must be in writing and must specify the nature of the problem in adequate detail. Such reasons can be, but are not limited to, dishonesty, failure to perform in office, or financial mismanagement. b) After concurrence by any Board member, the full Board of Directors will convene in special session within thirty (30) days to consider the complaint. (A conference call will be acceptable for this purpose.) The complainant(s) may be invited to present evidence and be available for questioning at this special session. The officer who is the subject of the complaint(s) will be given reasonable time prior to the meeting to prepare a response to the written complaint(s) and will be invited to be present to deliver that response. The NACRAO President will preside over this special session and Robert's Rules of Order will be strictly enforced. If the President is the subject of the complaint, the Past-President shall preside. c) The Board of Directors will vote, by secret ballot, to retain or remove the individual from office. (If the special session is conducted by conference call, the secret ballot will be mailed to the presiding officer within 24 hours of the meeting. The ballots will be retained for at least 30 days after the mail-in vote in case it should be necessary to validate the count.) A two-thirds vote of those voting will be required to remove a Board member from office. The following standing committees shall be appointed by the president with the approval of the Board of Directors. Unless otherwise specified, the members of these committees shall serve for a period of one year but may be reappointed for one or two additional terms. The committees shall perform such duties as specified in the bylaws or as may be delegated to them by the president and shall provide a written record of committee activities to the Board of Directors at the annual meeting. The committee shall be responsible for recommending to the Board of Directors those persons deserving of honorary membership in NACRAO. The committee shall be responsible for presenting to the membership a slate of officers; president-elect, vice-presidents. secretary, and treasurer, at the annual meeting for election for the coming year. The committee shall further be responsible for the election and election procedures for th e coming year. The committee shall be chaired by the immediate past president and consist of one past president, the president-elect, and one non-officer voting representative. The committee shall be responsible for encouraging and increasing the level of professionalism of the members of the Association by providing professional development opportunities such as workshops, in-service training, major annual events and other appropriate programming. All programs and events are subject to approval by the Board. The committee shall periodically review the total activities of the Association and inform the membership of these activities. The committee shall be responsible for activities relating to the professional advancement of admissions officers and for coordination of activities/problem solving between high school personnel and NACRAO institutional members. The committee shall initiate research activities relating to the advancement of the membership. The committee shall also address marketing needs meant to promote the organization. The committee shall foster awareness in student services for international, educationally disadvantaged, ethnic minorities, gender issues and individuals with disabilities. The committee shall address issues and foster awareness for advancements in technology and social media related to the mission of the colleges and universities in the NACRAO membership. The president shall be an "ex-officio" member of all committees except the Nominations and Elections Committee. The Web Presence Director shall serve as an “ex-officio” member of the Board of Directors. Nothing in this article shall be construed as preventing the appointment of additional standing or "ad-hoc" committees deemed necessary for the work of the Association. professional interests. To guide its members, AACRAO has adop ted the following principles of professional ethics and practice in academic and enrollment services. Dispense complete, accurate, understandable, and truthful information and advice at all times. NACRAO voted to accept the revised AACRAO Code of Conduct as its Code of Conduct on November, 12, 2014.